Student of The Year 2 marks the debut of Ananya Pandey and Tara Sutaria. 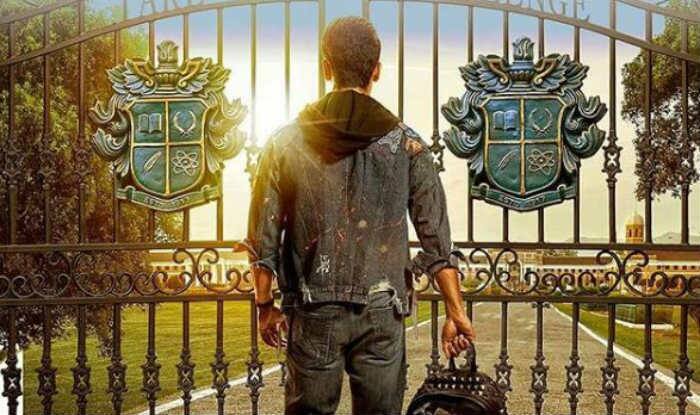 Filmmaker Karan Johar‘s Student of The Year 2 starring Tiger Shroff, Ananya Pandey and Tara Sutaria is all set to release on May 10, 2019. After sharing the cryptic message on social media, now Karan Johar has shared yet another poster of the film featuring Tiger Shroff. In the poster, we can see the back side of Tiger dressed in jeans and denim teamed up with sneakers. Carrying a backpack in his right hand, he walks towards his college. In the photo, the college and its logo along with the gate can also be seen. Earlier today, the official Instagram handle of Fox Star India has shared yet another poster featuring two feet depicting the challenge for the student of the year award. The film also marks the debut of Ananya Pandey and Tara Sutaria.